STRUMIS is delighted to announce a partnership agreement with Alma CAM Software. 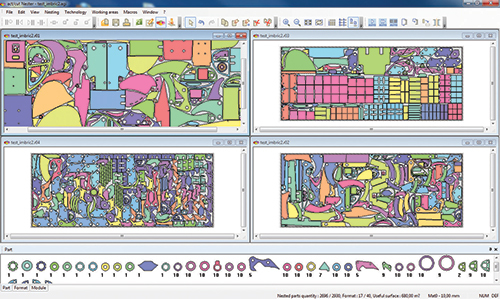 Alma, known for their expertise in automatic nesting of complex shapes for cutting, are a leading company in the field of software for sheet-metal working, cutting and robotics, are a software company that combines innovation and international presence. 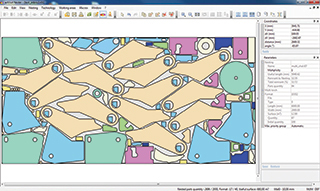 As part of this partnership agreement, Alma’s latest CAM nesting software can now be linked with the latest version of STRUMIS to provide API data- exchange functionality, which will complement STRUMIS’ existing linear nesting, and in exactly the same way as linear nesting, will allocate/nest plate mark items from inventory or supplier available sheets. The additionally required sheets will then be added to the purchase order automatically and any remnants/off cuts returned to inventory. DXF and NC export files will be forwarded to the relevant plate profiling machinery within the STRUMIS Production Control module to complete the process. This significant new functionality will deliver substantial benefits to mutual users of STRUMIS and Alma CAM Software in terms of both maximising materials and minimising wastage, together with integrated production processing through CAM/CAD technology.